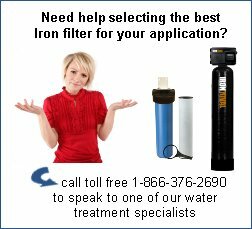 We are pleased to offer a wide range of residential and light commercial water filters to remove iron, manganese, and hydrogen sulfide. Iron and manganese are responsible for most of the nuisance staining found in toilet bowls, on bathtubs, and in appliances such as dishwashers and washing machines. 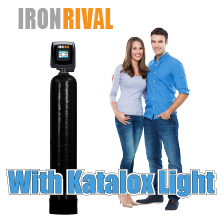 Iron typically causes yellow, orange, or red stains, whereas manganese generally causes brown or black stains. Hydrogen sulfide (H2S) is a dissolved gas that is often found in areas with elevated iron or manganese levels. It causes an objectionable rotten egg or sulfur odor. Fortunately, the same treatment method can be used to treat all 3 of these contaminants - a combination of oxidation and filtration. 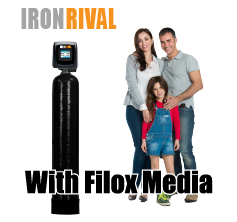 Cartridge-based filters are an economical option for low flow rates and low levels of iron and hydrogen sulfide when favorable water conditions exist. 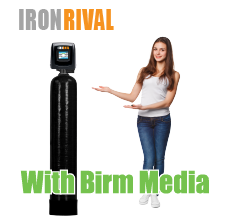 Our backwashable Iron Rival Series filters are designed for more demanding applications where heavier contaminant loads or high water volumes could cause pre-mature cartridge filter clogging.